Pixar’s Cars 3 is a huge change of pace for the franchise. 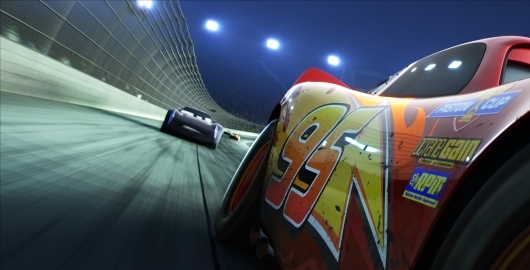 The film sees Lightning McQueen (Owen Wilson) blindsided when a new generation of faster, more powerful, and younger racers join the racing circuit. Determined to stay in the sport that he loves, Lightning goes through a new-age training regiment with the help of Cruz Ramirez (Cristela Alonzo), an eager young technician who has her own plans for winning. And while they might not agree on which training method works, they discover they need each other to reach their goals more than they realized. We were fortunate enough to attend the press day of Pixar’s latest animated film where the attendees talked about who inspires them, some of their personal struggles, how one person can make the difference, and more. Check out what they had so say here below. We just saw a trailer for Pixar’s trilogy-maker Cars 3 a couple of weeks back, but a new trailer has been released this week. The new trailer is titled “Rivalry,” and you can probably guess what it focuses on. It opens with the voice of the late, great Paul Newman, who voiced Doc Hudson in the original movie—the final character he ever played. Pixar had voice over he recorded for the first movie that was never used, so we’ll be hearing new stuff from Doc in the movie, likely in flashbacks or dream sequences of some sort. 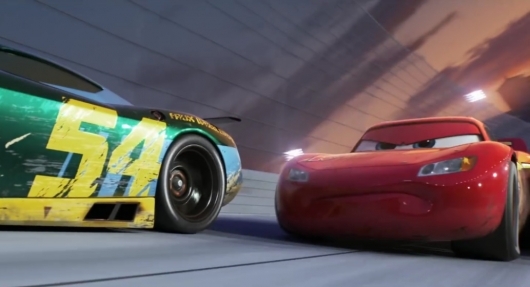 The trailer then shifts to Lightning McQueen (Owen Wilson) and the seemingly unbeatable racing star he’s up against, Jackson Storm (Armie Hammer). Check out the latest trailer for Cars 3 below. Cars may not be as universally loved as its fellow Pixar films, but like all Pixar films, it has plenty of heart. Lightning McQueen (Owen Wilson) has been steering the franchise’s success for the last two films, where he has discovered the true meaning of humility and friendship. But now it’s time for him to suffer a very critical loss and go back to basics to discover that some careers don’t last forever, but it’s the legacy that you leave behind that truly matters. Check out the latest trailer for Cars 3 below. 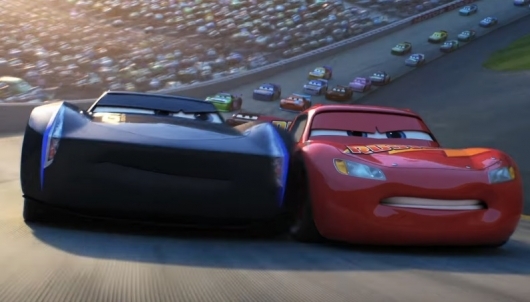 The first teaser trailer for Disney•Pixar’s Cars 3 was released back in November, and it was just a little bit depressing, especially if you’re a fan of the series and Lightning McQueen. Now an extended look version of that trailer has been released. It starts off with the same depressing sequence we saw in the teaser, and is followed by about 40 seconds of new footage that we haven’t seen before. 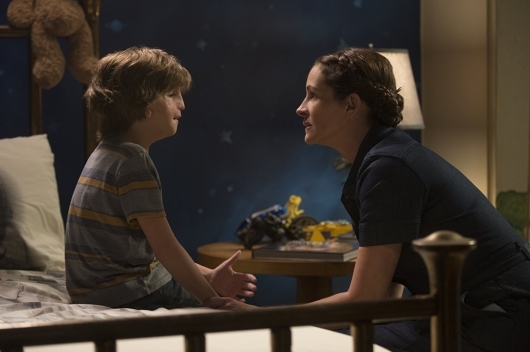 You can check out the new trailer below, along with some recently released character videos for Lightning McQueen (Owen Wilson), Cruz Ramirez (Cristela Alonzo), and Jackson Storm (Armie Hammer). Pixar’s Cars film franchise hasn’t been the most popular with critics, but it is one of the most lucrative. While the first two films had a fish out of water theme, Cars 3 seems to take a dark and gritty turn for the series as we see Lighting McQueen suffer a devastating crash forcing him to have a new lease on life as he sets out to prove to a new generation of cars that he is still the best in the world. Check out the latest teaser trailer for the film here below. Now here’s a franchise you likely weren’t expecting to hear about today. 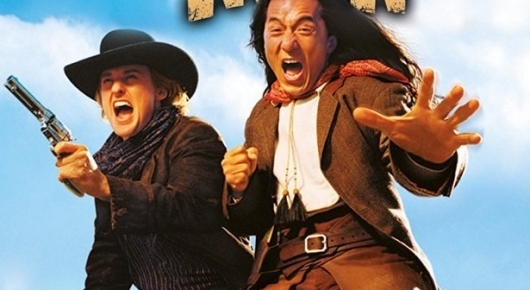 It’s being reported that a new movie in the Shanghai Noon series is breathing again at MGM—well over a decade after the last installment. Noon was released in the year 2000 while its sequel, Shanghai Knights, was released in 2003. This new title will be called Shanghai Dawn. On top of that, original stars Jackie Chan and Owen Wilson have both entered into negotiations to reprise their roles for the trilogy-maker. 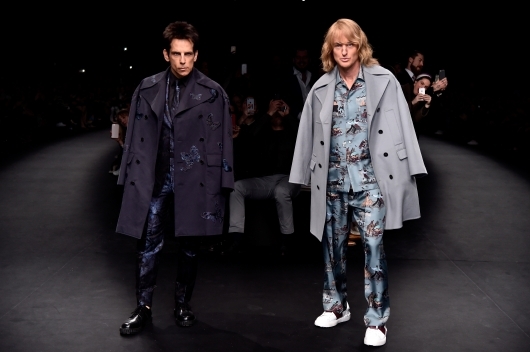 The world of the fashion industry is a bit beyond my comprehension, but I guess that is why we have satires like Zoolander. A decade ago, Ben Stiller starred as the dimwitted title character who was able to stop a ninja throwing star with his signature look, Blue Steel. Along with his equally beautiful (not to mention equally dimwittted) rival Hansel (Owen Wilson), they were able to stop Jacobim Mugatu’s (Will Ferrell) nefarious plan, which involved brainwashing and assassinations. Now, many years after the film’s first release, fans have been asking for a sequel, and we are getting just that. 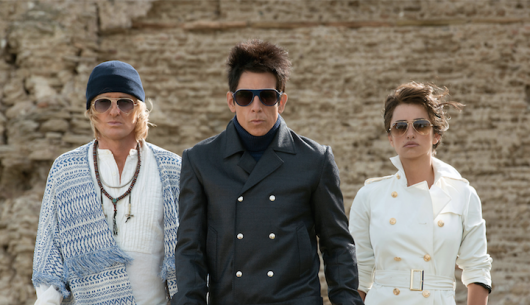 Paramount has released the first trailer for Zoolander 2. Now they are back, and they’re older and lamer, but still somewhat funny. This time, the sequel stars Penelope Cruz as an interpol agent, Kristen Wiig as a fashion designer, Justin Bieber, Usher, and other celebrities appearing as themselves, and much more. Let’s not spoil which Sherlock character makes an appearance, instead, check out the first trailer for Zoolander 2 here below.